Wolf Railing installs easily and provides both design and budget flexibility. Ultimately built to perform, our low-maintenance railing will maintain its good looks for years to come. Plus, its strength and durability make it perfect for both residential and commercial applications. It couldn’t be easier to install. It meets or exceeds building codes. And it will keep on looking beautiful, year in and year out. Wolf Railing starts at a price point that’s appealing to homeowners and contractors alike. The ability to mix and match elements of the system gives you countless design options and makes it easy to hit the price point you need to stay on budget. 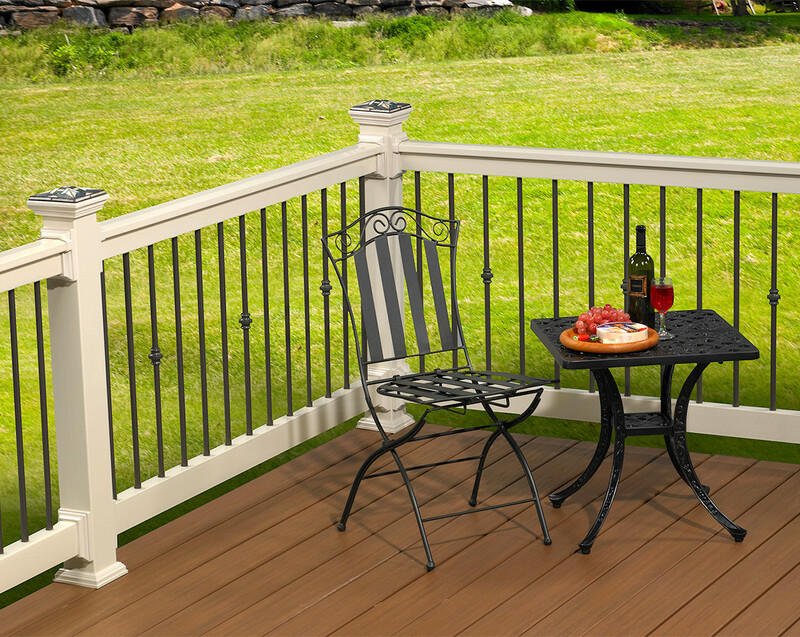 Select your style and then choose your baluster to create the perfect railing system for your outdoor space. Available in 4', 5', 6', 8' and 10' sections. 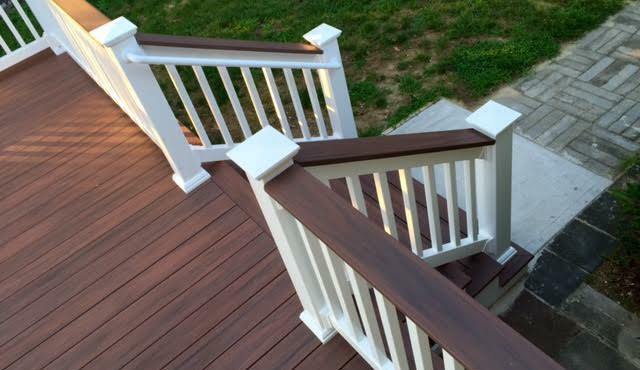 Pre-routed for vinyl, Deckorators® or other aluminum balusters. WOLF PVC railing is designed and engineered for strength and durability. 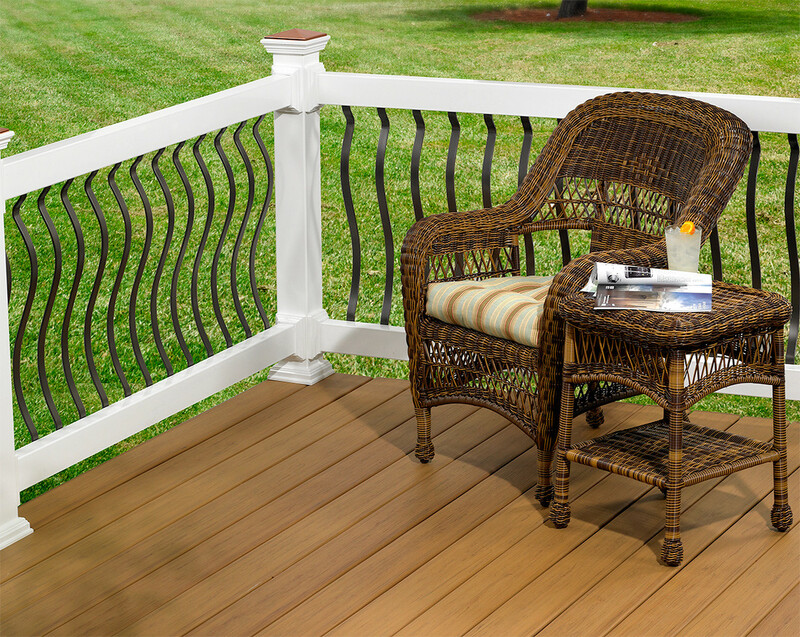 Both styles, Traditional and Designer, are available pre-routed for vinyl and Deckorators balusters (sold separately). 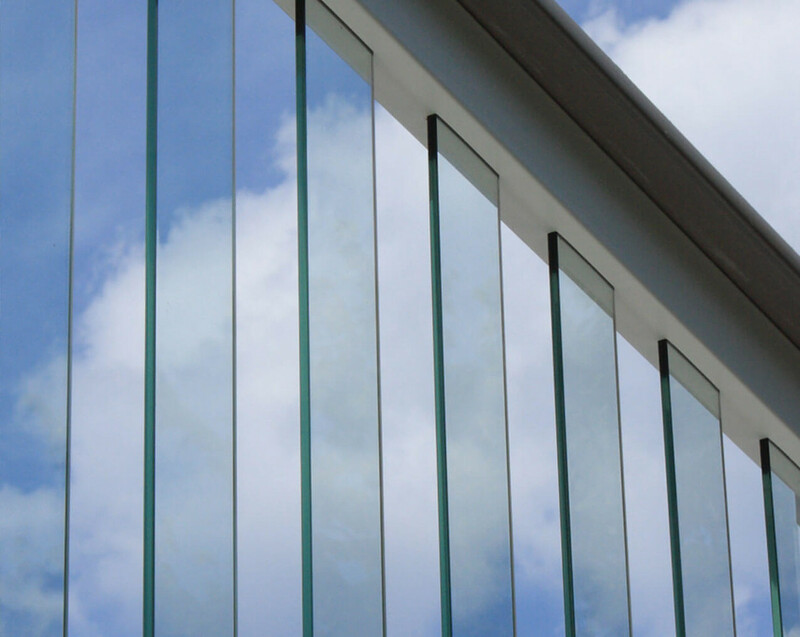 Balusters are available in vinyl, aluminum and glass so you can mix and match to achieve the look – and the price – you want. A variety of baluster options provide a range of looks from classic to contemporary, giving you incredible design flexibility. Add in accessories, custom capabilities for curved rail and custom lengths, gate kits and more, and the options are almost too many to count. Choose from white, almond, khaki, mocha walnut, earl grey and green teak. No painting, staining or sealing is necessary. 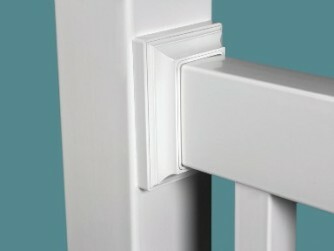 All fastener brackets are concealed for a smooth, clean look. And WOLF PVC railing is made in the U.S.A. for maximum quality, backed by a lifetime limited warranty. It’s strikingly beautiful, simple and surprisingly affordable. 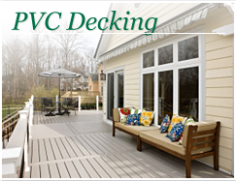 WOLF PVC railing will enhance the value of your home for many years to come. For that one-of-a-kind look, specialty balusters—including acrylic panel, 4-inch glass, and black square aluminum—make a bold, unique statement. With an innovative concealed fastening system, there are no exposed fasteners, giving a clean, sleek appearance. 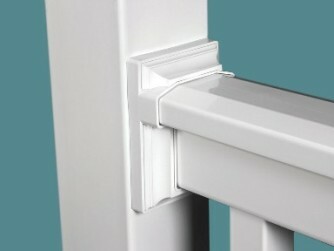 All the right bracket and hardware confi gurations to keep every design fastened and secure. 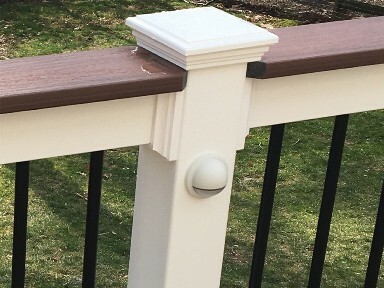 A full array of accessories help you complete your railing system with the exact look you want. Colonial Structural Post 5 x 5 x 108" Post Sleeve 4 x 4 x 120" Post Sleeve 6 x 6 x 120" Post Sleeve 4 x 4 x 39" and 54"
Our system provides all the components required to meet Americans with Disabilities Act standards. Wolf stocks white and textured black. Wolf Distinction™ Railing combines the perennial look of real painted wood with strong, low maintenance materials that are proven to perform. 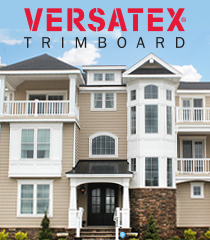 Plus, thanks to innovative OptiBracket™ Technology you get a secure, seamless installation for a flawless finish.